Our Amish Cable Mill Plasma Stand likes to entertain. 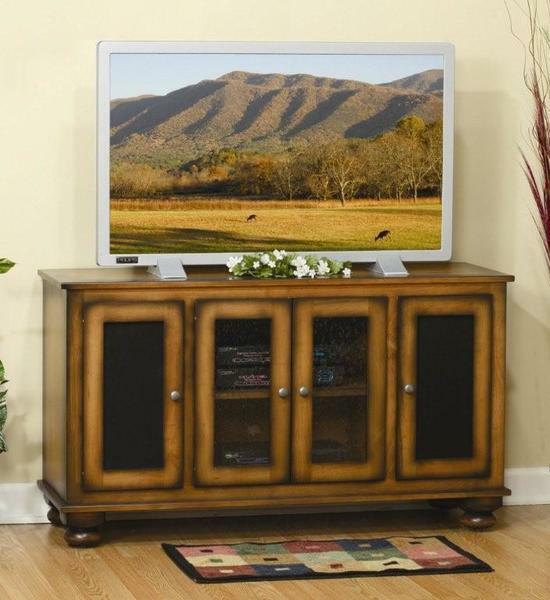 Fitting right in with more formal furniture pieces, this television stand features a solid wood top above four doors. The two middle doors comes standard with glass panels, while the outer doors are covered in speaker cloth. The base of the heirloom-quality stand sit atop bun feet. Add soft close doors and choose from a variety of wood types, finishes, and hardware options to make it yours.